It’s typical of us to feature one car with redhot upgrades, but we have had a bunch of them recently, so why not show them all off. 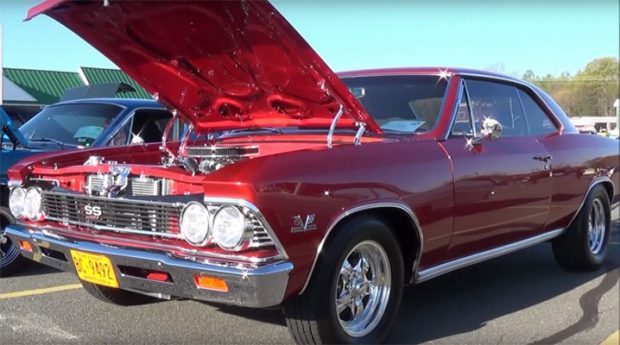 First and second-generation Chevelles, mainly the late 60s models to the end of the second-generation models are the best to work on. Usually base models are the options ideally as rara optioned cars need to be kept in stock condition. However, when you come across examples like these, which are in meticulous condition, you can understand why they went the pro Street route. Just check out some of these rides and judge them for yourself. 632ci Big Block Pro Street 66 Chevelle walkaround. 1966 Chevelle SS 427 Pro Tour Convertible. 1968 Chevelle SS 522. Pro Street. 1966 Chevy Chevelle SS 427 Big Block Custom. Procharged 1966 Chevelle Spintech 9000’S Idle. Next Story → Start Of The 2016 Gumball 3000 Rally In Dublin.